Welcome to Www.MarketHairExtension.Com website. The Original Terms and Conditions (“Terms and Conditions”) govern the use of the website and the purchase of any goods from it. The website is owned and operated by Eugenics Co., Limited. If you need more assistance you email contact our Customer Service team on customerservice@markethairextension.com. Use of or access to this website deems that you agree to be bound by the Terms and Conditions of use. Market Hair Extension reserves the right to amend or update such terms, conditions, disclaimers and limitations of liability at any time without providing notice to you. Unless otherwise specified, the materials in this website are presented for the purposes of promoting Market Hair Extension’s products and providing information about Market Hair Extension to suppliers and the general public. No material from this website may be copied, reproduced, republished, uploaded, posted, transmitted, or distributed in any way save for the following exception. Exception: You may download the Market Hair Extension video on any single computer for your personal non commercial use. Modification or use of the materials for any other purpose is a violation of Market Hair Extension¡¯s copyright and other proprietary rights. Use of any material in this website on any other website or networked computer environment is prohibited. All trademarks and trade names are proprietary to Market Hair Extension. All other rights are reserved by Market Hair Extension as the copyright owner. You waive and release Market Hair Extension, its servants and agents to the fullest extent permitted by law from any and all claims arising out of or related to the use of material or information made available through this website. Market Hair Extension, its servants or agents shall not, under any circumstances be liable for any injury, loss or damage arising out of or related to the use, or the inability to use, the materials in this website. This limitation of liability includes but is not limited to incidental, special or consequential damages. 4.To generate a holistic but anonymous view of the website’s customer base. This information will allow us to analyse trends and demographics to help Market Hair Extension improve on the services provided. It is important to note that we send periodical communications to people who have “opted in” to receive email updates about products and special offers, and retain the right to inform our customers of changes in our business operations from time to time. We intend to honour our members’ rights to privacy and do not set out to “spam” our members in any way. The prices listed on this website do not include relevant overseas duties and other custom charges that the package may incur when entering the country of destination. Please contact your customs agency to determine taxes and duties (if any) that will be applicable for your shipment. These charges vary from country to country and is not covered by Market Hair Extension. All prices are charged in US dollars. The total transaction amount may vary slightly once your order is charged to your credit card. The reason for this is that when your order is charged to your card, the exchange rate used by your credit card company may vary to that indicated at the time of placing the order. Market Hair Extension collects information about you to provide products and services to you. If the information is not provided Market Hair Extension may not be able to provide the service requested. 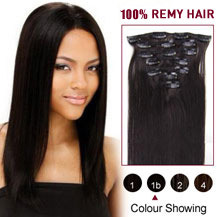 Market Hair Extension may disclose your personal information to organisations which provide services to Market Hair Extension, such as couriers. When you purchase products or access your membership information, a secure server is used. Secure Sockets Layer (SSL) encrypts the information you send through this website. Market Hair Extension makes no warranty in respect of the strength or effectiveness of that encryption and Market Hair Extension is not responsible for events arising from unauthorised access of the information you provide. A website member may not have more than one active membership, whether this is by use of name, email address, an alias or combination thereof. If you breach this condition, you may be liable for the recovery of any benefits obtained this way, such as Gift Vouchers / Gift Certificates, promotional benefits and the value therein. Membership accounts are non-transferable. You may update, edit or terminate your membership account at any time. You agree to maintain and update the information as supplied by yourself to ensure accuracy at all times. As a Market Hair Extension member, you are responsible for maintaining the confidentiality of your own membership account and password. You agree to take responsibility for all activities that occur under your membership account and password. Prices listed on this website and terms and conditions of any kind relating to products displayed on this website may not be current or complete and therefore under no circumstances constitute an offer or undertaking by Market Hair Extension. 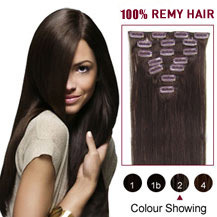 Market Hair Extension reserves the right to vary or modify the information in the website without notice. 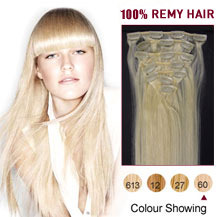 Market Hair Extension makes no representation that the products listed in this website are currently available. Orders will not be dispatched until payment in full has been received and Market Hair Extension is satisfied with the integrity of the order. Without limiting the operation of any other Terms and Conditions herein, Market Hair Extension is not responsible for any loss or damage caused by late delivery or cancellation of an order or a product. Placement of an order by you constitutes an offer to enter into an agreement with us (“your offer”). We will email you an Order Confirmation for the sole purpose of confirming the details of your offer. Please note that our Order Confirmation does not constitute an acceptance of your offer or reflect the status of your order in any way. Market Hair Extension may accept (in whole or part) or decline any order. Any claims or complaints must be made within 7 days of delivery date. Delivery claims: All delivery claims must be made to Market Hair Extension within 48 hours of receipt of the relevant products. Delivery claims will only be accepted if the carrier has accepted liability for loss, damage or short delivery. If a signed receipt is held by the carrier, no claim will be entertained. Returns: Market Hair Extension reserves the right to replace faulty goods. Returns must be authorised by Market Hair Extension and will incur a 10% handling charge prior to the Product being returned. Any product that has been opened, used, damaged or defaced in any way will not be accepted for return by Market Hair Extension. We will make every effort to deliver our products within 7-21 days from receipt of order. We have aligned ourselves with courier partners who we believe will always do their best to deliver products. It is the responsibility of the customer to inform Market Hair Extension if an order does not arrive. Once we learn an order has not arrived by the due date, we will lodge enquiries with the courier to ensure delivery occurs as soon as possible. We will not be held liable for any loss or damage resulting from late delivery. Please note that if an item has been lost in transit, we will not dispatch a replacement item immediately. Replacement items will be dispatched according to our discretion. As a guide only, our couriers attempt to deliver to business addresses between 9am and 5pm, and to home addresses up until 5pm. Unfortunately we are unable give a guaranteed time of delivery. Without limiting the operation of any other Terms and Conditions herein, you agree that late delivery does not constitute a failure of our agreement, and does not entitle you to cancellation of an order. Other Terms and Conditions not listed herein and applying to Market Hair Extension promotions and competitions are incorporated into these terms and conditions. Unless expressly stated, to the extent that the other Terms and Conditions are not incompatible with the Terms and Conditions herein, the other Terms and Conditions will be in addition to the terms & conditions herein. To the extent that the other Terms and Conditions are incompatible with the Terms and Conditions herein, the other Terms and Conditions shall prevail. Should you object to any of these Terms and Conditions (including any subsequent amendments) you must immediately discontinue using this website. Links to this website are permitted, provided the full html page is loaded and is not more than one layer from the index.html page. Links to individual graphics or to areas that are considered “security areas” that bypass any security protection or password protect that Market Hair Extension establishes are expressly prohibited. This website is controlled and operated by Market Hair Extension from its offices located in New South Wales, Australia. By using this website, you agree to submit to the jurisdiction of the courts of New South Wales if a conflict arises from the use of this website. If you choose to access this website from other locations you are responsible for compliance with local laws, if and to the extent such local laws apply. You agree to waive any and all claims that you now have or may have in the future against Market Hair Extension which relate to or are incidental to any transaction. You agree to indemnify and hold Market Hair Extension harmless from and against any and all claims, loss or expense that may be incurred by Market Hair Extension which relate to or are incidental to the performance of its duties as described in these Terms and Conditions including all costs of defending itself against a claim by any other person and/or as a result of you taking any action or refraining from taking any action or instituting or defending any action or legal proceeding. You further agree to indemnify and hold Market Hair Extension harmless from any claim made by any third party due to or arising out of your use of this website, the violation of these Terms and Conditions by you, or the infringement by you, or other users of this website using your membership account, of any intellectual property or other right of any person or entity. All celebrity images used throughout the site are for colour reference purposes only and do not imply any kind of endorsement from the celebrity featured. The images were sourced from publicly available, non-licensed libraries and as such there is no intentional infringement or miss use of copyright material. Should you feel that an image is infringing on or in breach of any copyright laws please contact costomerservice@mywounderstyle.com to have the image removed immediately. The materials in this website are provided “as is” and without warranties of any kind, either express or implied. The information in the website is altered periodically and changes in circumstances after information is placed in this website may affect the accuracy of the information. Market Hair Extension makes no warranties or representations express or implied regarding the quality, accuracy, completeness, timeliness, merchantability or fitness for purpose of any material in this website or products referred to in this website. Market Hair Extension makes no warranties that this website is free of human or mechanical error, technical inaccuracies or typographical errors. Market Hair Extension makes no warranties or representation that the material in this website will not cause damage or that the material is free from any computer virus or any other defects or errors or omissions and refers to the Limitation of Liability section.